CSL Cold store conveyor systems are becoming more popular in a bid to reduce the health and safety implications of people operating in harsh environments. The conveyors will also reduce forktruck movements within the cold store, again reducing risk and cost. 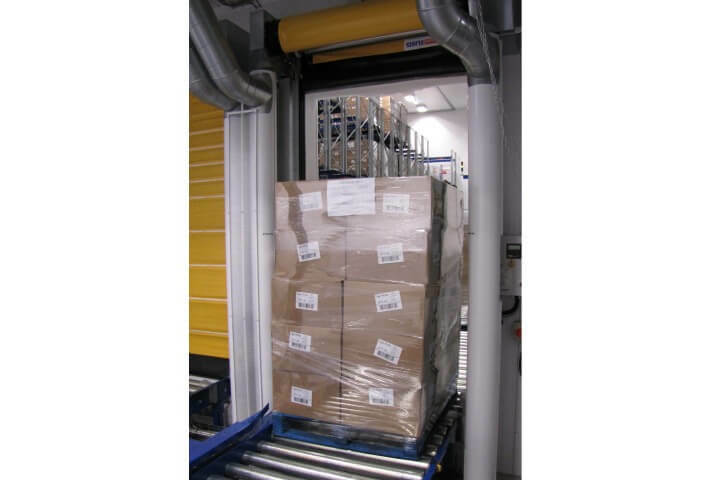 Intelligent controls allow for the conveyors to pass products automatically through air lock doors reducing the need to open much larger forklift truck doors thereby reducing running costs. Why Install a CSL Cold Room Conveying Solution? 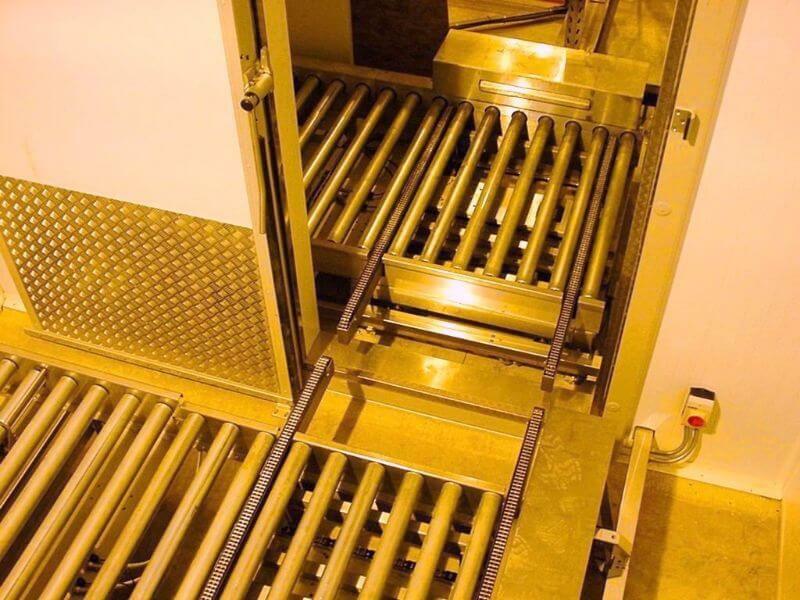 CSL cold store roller based conveyors are specially designed for operations in harsh environments so are manufactured from either aluminium or stainless steel frames to avoid corrosion and can have a modular or bespoke design to suit the application. Normally in harsh environments roller conveyors are powered using a chain drive system with specially adapted motor gear box units. CSL pallet conveyors can be used to move various pallets, cages, stillages, IBC’s etc in either transit or accumulation modes. The CSL cold store pallet conveyors are constructed in either stainless steel or powder coated steel and powered by chain driven rollers.